At OnePlus-shop.nl there are many different types of phone cases available not only for the OnePlus 5 but also for the other models. Phone cases are extremely popular among smartphone users, not only because they offer protection to the device, but also because it's trendy. OnePlus 5 back cases is a strong case that protects your device from falling, bumping and dirt. 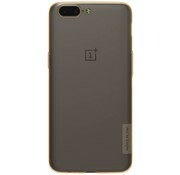 The backcases for the different models OnePlus devices are available in various colors, so there is something for everyone. 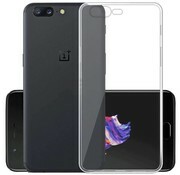 At OnePlus-shop.nl you are always at the right place for OnePlus 5 backcases, cases and other accessories. 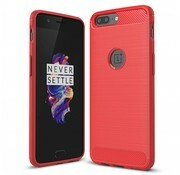 Are you looking for accessories for your OnePlus then at OnePlus-Shop.com you are at the right place. 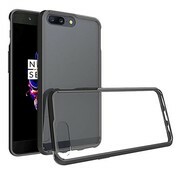 For example, we have different OnePlus 5 cases, cables and screen protector . More and more people use a screen protector, the reason being that the display is one of the weakest points of a smartphone and making it can be very expensive. Therefore, a screen protector is the ideal way to protect your display. We strive to get you through your chosen products as soon as possible. Because we have our own warehouse, we can deliver the products so quickly to the customer. In addition, we find it very important that our products are of high quality. With us you can assume you order a product before 17:00, the product will be delivered the following day. We will not charge shipping charges for orders shipped within the Netherlands. For questions about the OnePlus 5 backcases, you can always contact us by completing the contact form or calling us at 0252 514 904.